Love the relaxing waves of the beach, but also the exciting speed of water rides? SplashDown Beach is the perfect place for you and your family this summer. SplashDown Beach, America’s Biggest Little Water Park™, has everything you need for summer fun! Discover the thrills of the Bullet Bowl, Humunga Half-Pipe, Monster Wave Pool and the new Arctic Plunge Racer, a 5-story racer that launches riders into a head-to-head drag race to the finish line! If you’re looking for a more relaxing experience, head over to the Croc Creek Wavy Lazy River, which is one of the few lazy rivers in the country to have its own wave area. Or, utilize the Coconut Pool, perfect for catching some sun while spending time with your family. Don’t worry, there’s space designed just for your little ones too! Bob the Builder™ Splash Works™ is great for the kids, with more than 50 interactive features, and Dizzy’s Water Whirler™, the first Bob the Builder™ ride of its kind. There’s also the Shipwreck Lagoon, a themed pirate ship, which is the perfect place for kids to cool off. New for 2014, Safari Outpost is an up-close and educational encounter with all types of amazing animals with whom we share the planet. Featuring capuchin monkeys, live tigers, giant parrots and huge reptiles, you’ll learn about rare species from all over the world and how they live and play in the wild. Don’t miss this chance to discover a little of the jungle right here in Fishkill! After hours of waterpark fun you’re sure to get hungry. Visit Cosimo’s Pizza on the Boardwalk, Cosimo’s Shipwreck Grill, Frosty Shack, and Nathan’s Famous Restaurant. It’s as close to dining al fresco on the Boardwalk as you can get in Dutchess County! SplashDown Beach is the perfect family destination and easily located near the intersection of Route 9 and I-84 in Dutchess County! Purchase your 2015 season pass now and get the rest of 2014 free! Join SplashDown Beach on Friday, June 20th, 2014, as tens of thousands of kids and adults at aquatic facilities around the world unite for the fifth year in a row to set a new Guinness World Record™. 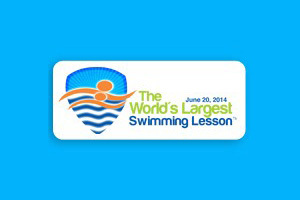 The global record attempt for The World’s Largest Swimming Lesson™ (WLSL), will take place at 3:00 p.m. GMT (11:00 a.m. ET, 8:00 a.m. PT.). Team WLSL holds the current Guinness World Record™ for the largest simultaneous swimming lesson, which stands at 32,450 participants representing 13 different countries across five continents! SplashDown Beach has partnered with the Wings Over Water School of Swimming to instruct the swim lesson. Wings Over Water, with locations in Brewster, NY and Fairfield, CT, provides professional instruction in learn-to-swim, tri-athlete training, water exercise and adaptive aquatics. Tragically, drowning remains the leading cause of unintended injury related death for children ages 1-5, and the second leading cause of accidental death for children under 14. Research shows participation in formal swimming lessons can reduce the risk of drowning by 88% among children aged 1 to 4, yet many kids do not receive formal swimming or water safety training. SplashDown Beach is an official Host Location Facility for the WLSL 2014 event. Parents are invited to learn more about water safety and this phenomenal event by visiting WLSL.org. To register, visit https://splashdownbeach.com/attractions/worlds-largest-swimming-lesson. Registered participants will receive $10 off the regular daily pass admission price. SplashDown Beach, America’s Biggest Little Water Park, is located in Fishkill, New York, just 60 minutes from New York City. Owned and operated by Turk Hospitality Group since 2005, SplashDown Beach offers water fun and adventure for the whole family. Thrill seekers will experience an adrenaline rush on Arctic Plunge Racer, a 5-story mat racer that launches riders into a head-to-head drag race to the bottom, flying over vertical curve humps and gaining even more speed before landing at the finish line. Humunga Half-Pipe is New York’s only 4-story zero gravity half-pipe, and everyone is sure to make a splash with the Bullet Bowl, Monster Wave Pool, Croc Creek Lazy River, Coconut Pool and Rock Beach. Little ones will love Bob the Builder™ Splash Works™ with over 50 interactive water features and Dizzy’s Water Whirler, the first Bob the Builder™ ride of its kind. Boasting the best food in the water park business, SplashDown Beach offers hungry swimmers selections like Cosimo’s Pizza on the Boardwalk, Cosimo’s Shipwreck Grill & Café, and Nathan’s Famous Hot Dogs. Birthday parties, corporate picnics, family reunions and groups are welcome and private catering is available. Open daily Memorial Day weekend through Labor Day weekend. For more information contact (845) 897-9600 or www.splashdownbeach.com. Growth trends seen in the jobs market appear to be intact in the latest report, offering modest hopes for the Hudson Valley in a notoriously slow-growth economy. Total jobs in the seven-county region were up by nearly 1 percent in the July accounting issued Thursday by the state Department of Labor. Meanwhile, there’s a seasonal surge in the tourism sector, known to the statisticians as “leisure and hospitality.” That’s normal for summer. But the category also shows year-over-year growth of 3.7 percent, which was the strongest percentage gain of any category and signifies a healthy trend. A case in point: SplashDown Beach, a water park in Fishkill, employs about 350 people this year, said General Manager Andrew Chafatelli. It’s grown year by year, adding features with extra land bought last year. SplashDown is open from Memorial Day to Labor Day. “Ninety percent of our staff is college and high school students,” said Chafatelli. They are readily available for jobs that will end when summer does. Jenn Lupo, 16, a Roy C. Ketcham High School student, got her first summer job here this year. “When I turned 16, this was a perfect opportunity,” she said. She’ll use the money for buying clothes and school supplies. Tourism, along with trade, professional and business services, education and health, showed gains versus the same month a year earlier. Even construction, in the dumps for years, posted a 2.1 percent gain in the region. The job-losing sectors were manufacturing, information and government. Government jobs fell by 2,700 in the valley, a drop of 1.7 percents, while private-sector work rose by 10,600, a boost of 1.4 percent. Combine the two, and you get an overall 0.9 percent increase. But it’s not evenly spread. In the statistical area that encompasses Dutchess and Orange Counties, growth in jobs was far lower — only a percent overall, just 200 jobs more than in 2012. In that two-county area, private-sector jobs increased by 1,500, or 0.7 percent, while government jobs dropped by 1,300, or 2.8 percent. Growth was in health care and in professional and business services as well as in tourism, which added 700 jobs. 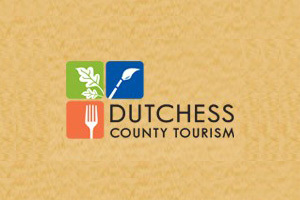 In Ulster County, overall growth was 0.3 percent, most of it in trade and tourism. Statewide unemployment was 7.5 percent in July, the same as June, and down from 8.7 percent a year earlier. Johny Nelson, regional analyst for the Labor Department, said the region’s private-sector jobs boost was “double the growth rate recorded over the same period last year.” “Leisure and hospitality posted a growth rate of 3.7 percent over the period, its strongest July in three years,” he said. Most of it was in lodging and food service. SplashDown offers a case study. At the park, there are jobs like lifeguards, parking attendants, ticket sellers, janitors, maintenance technicians, landscapers, managers and food-service workers. There are three food courts and three snack shops in the 15 acres of attractions. Buses roll in from across southern New York and Connecticut, filled with summer campers. Chafatelli said a jobs fair is held each year and that more than 600 applied this spring. Hiring continues through the summer to fill vacancies. “This time of year is touch,” said Operations Manager Matt Stevens, “because we have people going back to school.” There’s a 65 percent return rate, but everyone must come in yearly for a new interview. Marcello Castelli, 16, a junior at Ketcham, is a janitor in his first year at SplashDown. He was having trouble finding work when a friend tipped him to this place. “Every place I looked, they either weren’t hiring for they were looking for 18 or over,” he said. John Scelzo of Wappingers is studying information technology at SUNY Albany. He began at SplashDown during high school as a lifeguard and worked his way up to lead lifeguard. Rescues do occur, mostly little kids, Scelzo said. But the job is mainly keeping watch and keeping order, especially during peak attendance times. “You’ve got to do a little more crowd control,” he said. The big challenge for management is at the start. That staff must be put in place in short order. “It’s getting the engines running at the beginning of the season,” said Chafatelli. New Rides, More Fun, Same Price! Fishkill, NY — Mega Funworks Inc., dba SplashDown Beach Waterpark, is proud to announce the completion of its 2013 expansion with today’s opening of the Arctic Plunge Racer. Arctic Plunge is the first of 6 new attractions to be completed as part of the Arctic Adventure complex. This competitive, multi-lane, headfirst Mat Racer reaches 5-stories tall and is one of America’s hottest Waterpark attractions! Its precisely engineered curves are strategically placed to create positive pressure for maximum acceleration as riders exit the 360° horizontal loop. Riders are launched into a head-to-head drag race to the bottom, flying over vertical curve humps, experiencing weightlessness, and gaining even more speed before the smooth deceleration run-out. The experience will leave the entire family talking about who the fastest rider was! In addition to the ride that opened today by ProSlide Technology, the Mega Funworks team collaborated with Zamperla Rides and HIT Entertainment to introduce Dizzy’s Water Whirler, completed just prior to the Park’s opening in May. Located at the Bob the Builder Splash Works™ attraction, the Water Whirler accommodates up to 24 guests at one time and features 30 interactive water elements, currently the only of its kind in the world and first in North America. “We’ve added something for everyone this year, from toddlers to adults to enjoy with Dizzy’s Water Whirler and Arctic Plunge. This has been our largest single expansion at SplashDown Beach since we purchased it in 2004, creating a true family destination for summer fun,” say owners Shelley and Steve Turk. The $12 million expansion received Planning and Zoning Board approvals earlier this year and will be fully built-out in subsequent phases. SplashDown Beach, America’s Biggest Little Water Park is located in Fishkill, New York. The park is open for the season through Labor Day and offers something for everyone including the Monster Wave Pool, the thrilling Bullet Bowl, Humunga Half-Pipe – New York’s only 4-story zero gravity half-pipe, the Croc Creek Lazy River, Coconut Pool, Rock Beach, Bob the Builder Splash Works with over 50 interactive features for the kids including slides, dumping buckets and geysers and much, much more. Need a break? Reserve one of our private cabanas for ultimate outdoor relaxation and enjoy a bite to eat at the new Frosty Shack, Candy Shoppe, Cosimo’s Pizza on the Boardwalk, Cosimo’s Shipwreck Grill & Café and Nathan’s Famous. Visit www.SplashDownBeach.com for more information. Take a trip to Fishkill’s SplashDown Beach. It’s filled with slides and attractions like the Arctic Plunge Racer, Cowabunga Falls and Pirate’s Plunge — not to mention a lazy river, wave pool, and the new Bob the Builder children’s area.. Between racing into the water and relaxing on some sand at Rock Beach, everyone will have fun at “America’s Biggest Little Water Park.” Details: 16 Old Route 9W, Fishkill. 845-897-9600, www.splashdownbeach.com. The Hudson Valley Shakespeare Festival is back again, and one of this year’s shows is perfect for children. “The Three Musketeers” is the timeless, action-packed tale of bravery, treachery and honor, focused on a team of swashbuckling swordsmen aiming to defend the queen. Better still: there’s an opportunity for kids to dress up as the characters. They can dive into the trunk of props and racks of costumes, then make their way to the “Portrait Palace” where you can take photos of your little one in 17th-century garb. Tickets for the show range from $26 to $58. Details: 140 Main St., Cold Spring. 845-265-9575, www.hvshakespeare.org. No need to worry about tweens getting lost in a huge arena. They can head to their first pop concert right in Westchester. Rye Playland offers shows throughout the season, featuring bands that kids obsess over (even if you’ve never heard of them!). R5, a pop band made up of four siblings (including Ross Lynch, the star of Disney Channel series “Austin & Ally”) and a friend, will perform July 27. KIDZ BOP Kids, a group of children singing family-friendly Top 40 hits, are schedules for Aug. 10, followed by an appearance by hip-hop artist Jake Miller on Aug. 23. Enjoy a day at the amusement park and then head over to the stage. All shows are free with park admission, although you can buy tickets for reserved seating. Details: 100 Playland Parkway, Rye. 914-813-7910, www.ryeplayland.org. The Greenburgh Nature Center’s annual butterfly exhibit, running through Aug. 4, allows kids to get up close and personal with these beautiful critters. Visitors walk through a hoop house on the meadow — a more natural environment for these insects — where children can learn about the various colors, shapes and sizes of adult butterflies. (If you’re lucky, a few will land on you!) You can also take in one of the center’s many other summertime activities, including the return of the annual Story Walk; through Sept. 29, naturalist John Mancuso leads you along a woodland trail to enjoy the story of “Chipmunk at Hollow Tree Lane.” Open from 9:30 a.m. to 4:30 p.m. Monday through Thursday; 10 a.m. to 4:30 p.m. Saturday and Sunday; closed on Friday. Admission: $7 for adults; $6 for seniors and students; $5 for children 2 to 12; free for children under 2. Details: 99 Dromore Road, Greenburgh. 914-723-3470, www.greenburghnaturecenter.org. You’ve seen the summer blockbusters in theaters, but what about watching some fun flicks under the stars? Every Friday through mid-August, Ossining presents themed movie nights at various parks: For example, take in an Aug. 9 viewing of “Jaws” on the beach at Louis Engel Waterfront Park. (For details, visit www.celebrateossining.com.) The animated hit “Rio” will screen outside at Kensico Dam on July 31 (914-328-1542, www.parks.westchestergov.com), as will “Dr. Seuss’ The Lorax” at Orangeburg’s Veterans Memorial Park on Aug. 2 (845-359-5100, www.orangetown.com). And on Aug. 16, view “Oz: The Great and Powerful” at Philipse Manor Hall in Yonkers (29 Warburton Ave., Yonkers. 914-965-4027, www.nysparks.com). “America’s Biggest Little Water Park” is about to get bigger due to a $12 million expansion that includes two new rides set to open this summer. The SplashDown Beach project is expected to be completed around summer 2015, which will add an extra eight acres to the current 18 operating acres of water fun and three-acre reserve parking lot. SplashDown Beach has a contract with HIT Entertainment, providers of children’s entertainment. The contract allowed them to build the first permanent water park attraction based on the cartoon character Bob the Builder. “We have a contract with Bob the Builder and wanted to bring another character in; Dizzy seemed like the perfect character,” Chafatelli said. Dizzy is the cement mixer on Bob’s team. The Turks spent approximately $10,000 on the two new rides and grounds surrounding them. Dizzy’s Water Whirler, a teacup-shaped ride that can accommodate up to 24 people, is up and running now. Arctic Plunge Racer, the first of two five-story family raft rides, will open later this summer. A four-story water playground with multiple slides, water cannons and dumping buckets will go into the Bob the Builder-themed area later in the expansion. Cosimo’s Catering, another local supplier of SplashDown Beach, is looking forward to the increase in business not only in the park at Cosimo’s Pizza and Shipwreck Grill and Cafe but in future venues as well. “It’s going to help us eventually with more outlets. Any expansion is a good thing,” SplashDown Cosimo’s Catering Manager Frank Allen said. The expansion will provide more than 150 seasonal job opportunities for park attendants, ride attendants and other staff positions when completed, Chafatelli said. In a letter to the Poughkeepsie Journal on Dec. 30, Jessica Stevens from Beacon said the water park is a major source of income for the area and an expansion can only be beneficial economically. Bigger, faster and more extreme has been the focus at SplashDown Beach Water Park since coming under the ownership of Steve and Shelley Turk in November of 2004. SplashDown Beach in Fishkill, New York, is found in the heart of the scenic Hudson River Valley, just 60 minutes north of the major metropolitan market of New York City and 90 minutes south of the state capital of Albany. The waterpark was originally called Splash Down Park and was in operation since the mid 1980s. When the park was purchased by the Turk family, it was primarily geared towards families with children under age 10. Upwards of 80 percent of the visitors were local, using the park as a swim and recreational facility. The Turks had a different vision for the park. In the summer of 2005, the “Monster Wave Pool,” “Rock Beach” and the “Humunga Half-pipe” were introduced in an effort to reach a wider age-based market previously not captured. In each subsequent year, a major ride or attraction has been added, reaching out to the older and more selective segment of the family market—teenagers. With the addition of ProSlide Technology’s “Bullet Bowl” in 2010, the park reached record numbers, doubling the attendance since the Turk’s first operating season in 2005. After five years of thrill-seeking technology, Steve Turk and park manager Andrew Chafatelli felt that SplashDown Beach needed to design an attraction that would revive the children’s area of the park. The SplashDown Beach team landed a deal with HIT Entertainment, one of the world’s leading independent children’s entertainment producers and rights owners, to bring the first Bob the Builder amusement attraction to the United States. The vision for the children’s area was to develop a highly themed play area with a widely recognized brand that would attract younger families, and Bob the Builder was the perfect fit for SplashDown Beach. In fact, season pass sales increased notably in November as promotion for Bob the Builder’s arrival began. “Splash Works” is a 1,600-square-foot, Bob the Builder-themed spray-and-play area geared towards children ages 1-6. It contains more than 50 interactive features, including Bob’s tool shed play structure, two slides, tipping buckets, tot bounces, dancing water, geysers and motion sensors that will offer a soaking just for walking by. Bob the Builder meet-and-greets are available daily at the park. Rain Drop Products is based in Ashland, Ohio. Rain Drop supplied all of the above, in addition to the in-ground features for “Splash Works.” Included was their “Rain Brain” computer system, which allows features to respond to children’s movements and step activators that trigger different water effects throughout the play area. Almost every above-ground feature was uniquely engineered specifically for “Splash Works,” including a life-sized Lofty character that interacts with the children with the push of a button. Rain Drop’s fabrication team delivered the entire system and supervised the installation, all in time for a Memorial Day Weekend opening. Christina Schneider, SplashDown Beach’s in-house designer, worked closely with HIT Entertainment and Rain Drop to ensure each feature was precisely what was envisioned, all while meeting the proper scale and color. Christina also designed the Town façade at the back of the spray area. Local fabricator Todd Lanthier of the GNS Group brought the town façade, the “Splash Works’” sign and the Bob the Builder figure to reality. Todd’s team remained true to Christina’s detail in design and color. Beyond Bob the Builder With the new addition of “Splash Works,” SplashDown Beach has continued to focus on the kinds of amenities and offerings that appeal to families and local community and business groups. —In-park meal deals. Whether it’s Cosimo’s Pizza on the Boardwalk, Cosimo’s Grill, Nathan’s Famous Restaurant or the Shake Shack, groups love the deliciously affordable in-park meal deals, available anywhere in the park. —Catered event dining. Provided under one of the park’s Special Event Tents or Pavilion areas, menu options can range from the simple yet delicious hamburger & hot dog variety to the more upscale lobster, clam bake and steak dinner menus. Custom entertainment, theming, balloons, floral arrangements are all available. If a group wants to design a custom menu, then SplashDown Beach’s experienced event planners do their best to fulfill their needs. In regards to family reunions, in addition to the usual services and options, the park offers lots of extras at no additional cost, including free parking, complimentary life vests, Boardwalk games and custom printed tickets with the family’s name. Additional activities include character photos, Body Art and Spin Art T-Shirts. Of course, SplashDown Beach is a fantastic option for birthday parties. Birthday party packages includes use of the waterpark (full day or half day), a t-shirt for the birthday child, plates, cups, napkins, utensils, balloons, 1 slice of pizza per child, 1 slice of ice cream cake per child, admission to the Reptile Exhibit, 20 arcade tokens and a souvenir cup. As the Bob the Builder character walks the park during his meet-and-greets, a barrage of children young and old eagerly hug and take photos with him. The guests’ reception of Bob has been outstanding. The Turks, as well as the staff of SplashDown Beach, look forward to building a future with Bob. America’s Biggest Little Water Park Meets America’s Favorite Builder! Bob the Builder “Splash Works” Opening Summer 2011! Fishkill, NY—Mega Funworks Inc., dba SplashDown Beach Water Park and HIT Entertainment, one of the world’s leading providers of high quality children’s entertainment, have entered into an agreement to develop the first permanent Bob the Builder™ amusement attraction in North America. Splash Works™, Bob’s new attraction at SplashDown Beach in Fishkill, NY, will be open for the 2011 Season with a grand opening on May 28 during Memorial Day weekend. Splash Works, a 1,600 square foot Bob the Builder themed spray & play area, is geared towards children ages 1-5, and contains more than 50 interactive features. Splash Works will include Bob’s tool shed play structure, two slides, tipping buckets, tot bounces, dancing water, geysers and many other surprises. In addition, Bob the Builder meet & greets will be available daily at the park. Rain Drop Products, based in Ashland, OH, will be the primary water feature equipment vendor for Splash Works. They will provide Splash Works’ main structure pieces and in ground spray equipment. Included in the site is Rain Drop’s “Rain Brain” computer system which allows features to respond to movements and step activators throughout the area. Christina Schneider, Mega Funworks’ in-house designer and Steve Turk will be working with Raindrop and HIT on all of the themed elements of the attraction. “Although we have a lot of heavy lifting in front of us, we are dedicated to opening this attraction for Memorial Day weekend,” said Andrew Chafatelli, General Manager of SplashDown Beach. Bob the Builder and his machine team are ready to tackle any project. As they hammer out the solutions that lead to a job well done, Bob and the Can-Do Crew demonstrate the power of positive-thinking, problem-solving, teamwork and follow-through. Most importantly, from start to finish, the team always shows that The Fun Is In Getting It Done! Bob the Builder can be seen building, digging and hauling on PBS KIDS® and Sprout®. Episodes are also available for download through iTunes. For more information about Bob the Builder, and the Can-Do Crew please visit www.bobthebuilder.com. What’s Living in Your Water Park? How sanitary are water park features anyway? AOL goes undercover to sample the water at some of the nation’s top water parks. When temperatures soar, tens of thousands of Americans push through the turnstiles at water parks across the country, seeking to cool off at a corkscrewing waterslide or a thundering wave pool. But just how safe is that water they’re splashing in? The first water park in the nation opened in Florida in 1977. By 2006, 78 million people in North America (the U.S., Canada and Mexico) had visited a water park. But in the 33 years that water parks have been operating, there has been little governmental oversight. Many states have no specific laws or regulatory agencies governing water quality in water parks. 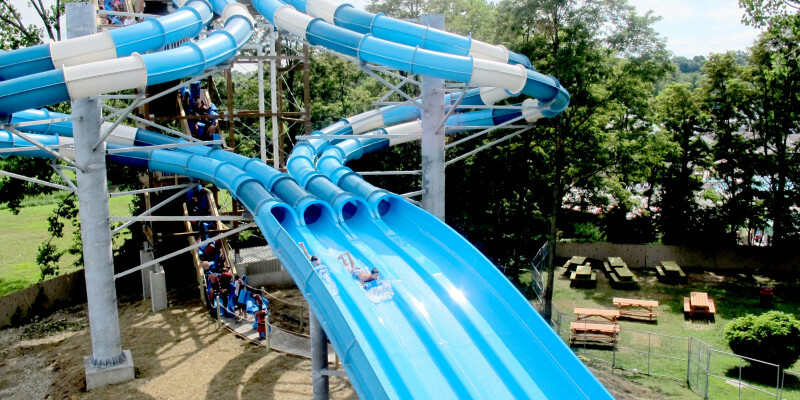 In 1998, an outbreak of E. coli at White Water Park near Atlanta resulted in illness for 26 children aged 12 and under, seven hospitalizations for kidney failure, and the death of one child. According to the Center for Disease Control, this tragedy marked an increase in national awareness of the importance of recreational water quality. As for the park itself, it installed automated testing systems throughout and increased chlorine levels from the recommended 2 parts per million to 3.5. According to the Center for Disease Control, Recreational Water Illnesses (RWIs) traced to water parks, swimming pools and water play areas can be caused by a single person with diarrhea who contaminates the entire swimming area. When a swimmer swallows water in a water feature that has been contaminated with E. coli bacteria, the result can be serious and even deadly. To check water quality at five water parks across the country, AOL sent five undercover reporters to test three water features at each park. The reporters purchased and used Watersafe® Rapid Bacteria Pool Test Strips, which test for the presence of E. coli, Pseudomonas aeruginosa, and many other coliform (of which E. coli is a species) and non-coliform bacteria. AOL chose this kit because it is readily available. According to Tom Round, Vice President of Business Development at Silver Lake Research Corporation, the Watersafe® product “detects a broad range of bacteria, including E. coli, Pseudomonas, Shigella, and Enterobacter. The presence of any of these bacteria in a swimming pool indicates a possible unsafe condition, such as inadequate disinfection, that could lead to recreational water illness in bathers.” The test strips display results quickly, whereas the results of lab tests, which are certainly more thorough and more accurate, may not be available for days — and may not be convenient for anyone intending to take a dip right away. Whenever possible, the reporters also interviewed park personnel on the methods used to maintain water quality. The test was done on around noon on a busy Saturday in late June when the attendance numbered about 800. The park looked well maintained and clean. The water was tested in three locations: the Wave Pool (mixed ages), Shipwreck Lagoon (a pirate-themed attraction for toddlers), and Cowabunga Falls (a thrill ride for older kids, teens and adults). All three tests were negative. Steve Turk, SplashDown Beach’s president and chief executive, stated: “We take [water monitoring] so seriously. Lifeguard and maintenance teams check every attraction every hour, so each one gets tested twice each hour. On busy days, testing is done every half-hour as well. Computer-monitored probes track water quality continuously at each attraction and automatically adjust chemicals. “Water quality is everything,” said Turk, who also routinely conducts “surprise” tests. As a result of a cryptosporidium-fueled outbreak at an upstate New York water park, New York State requires the use, in addition to chlorine, of ultra-violet or ozone treatment of water in water parks. Tom Allocco, a spokesman for the New York State Department of Health, said the State Sanitary Code governs water quality at water parks in the state by setting regulations, but county health departments are responsible for monitoring and enforcing them. Inspection frequencies vary, according to county health departments, he said, but at a minimum, they are conducted at least once a year. State law requires that disinfectant and pH levels be tested at least three times a day, Allocco said. Click here to read the full article on aol.com. FISHKILL Summer is here! And SplashDown Beach Waterpark in Fishkill is making waves with a new waterslide. “The Bullet Bowl” is in final stages of construction. A towering 8-story crane was brought in to finish the job. Piece by piece, the slide is placed into its final resting stop next to Pirate’s Plunge. The slide took over 3 weeks and a 20 person crew to put together. The ride is expected to be ready for the parks opening on Memorial Day Weekend. The Bullet Bowl is the latest in waterslide technology. Water slide enthusiasts shoot down a 200-foot tube, barreling them out into a tightly shaped bowl. Centrifugal force has them holding on as they go screaming around the Bowl until they blast out the bottom. The Bullet Bowl was designed by Pro-Slide, a world-wide leader in water slides engineering. Anticipation and excitement is high as the ride is finally being set. The ride is expected to be completed for opening day, Saturday May 29th, 2010. The water park is offering a buy one admission ticket, get one free special. More information about The Bullet Bowl and other attractions at the park are available on SplashDown Beach website at www.splashdownbeach.com.